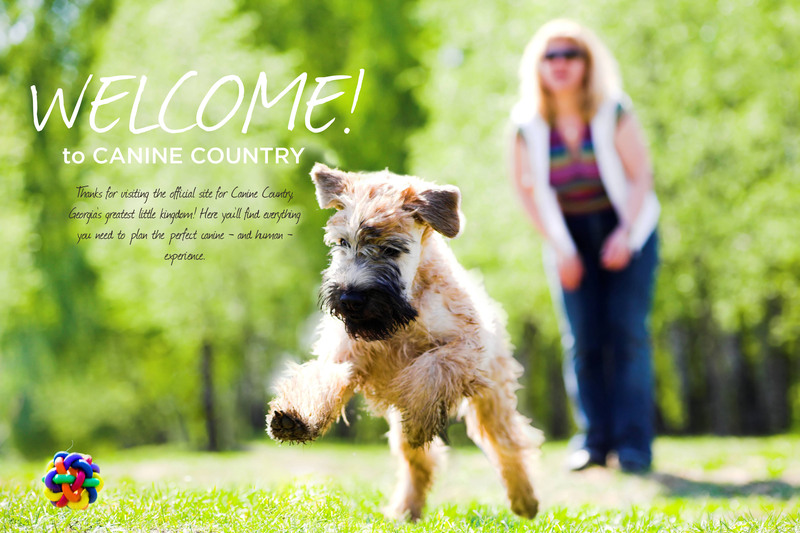 Paula Nowak, owner of Canine Country Academy, LLC, began her dog training passion seven years ago by taking her own dogs through various group classes at Canine Country Academy. While she was enjoying teaching her own dogs she was also training sales professionals in the corporate world. She soon realized that training people with dogs brought her much more joy! She started learning all she could about dog behavior and training through books, seminars, conferences and apprenticing with CCA’s founder Cathy Bruce. Paula now runs the business side as well as teaching group classes, private lessons and presenting educational talks with the goal of injecting fun into all aspects of dog training to help dogs and their owners live together happily. 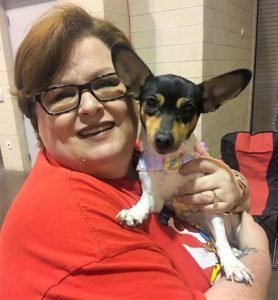 Paula has been featured on Atlanta Plugged In helping even more people learn about various dog training and behavior topics. 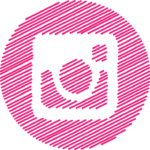 She also contributes to blog posts including: Brit & Co, Chewy.com and CEO Blog Nation. She shares her life with her husband Buddy, who has been a huge support in her following her passion of dog training and their four amazing Terriers. Paula has earned her AKC Novice Rally title with one of her dogs, Curly. She has also achieved a NW1 and NW2 title with her dog Molly and looks forward to their first attempt at NW3. Curly also has an Advanced trick dog title through Kyra Sundance’s Trick Dog program. Norby, their 2 year old Toy Fox Terrier, is working on Nose Work Competition and his first Trick Dog Title. During her training at Canine Country Academy she fell in love with teaching not only her own dogs, but the ability to help other dog/human relationships develop the close bond she experienced through training. Her love of animals dates back to early childhood and continues to grow with each new experience. Over the last 9 years, she has also been involved in rehabilitating Rat Terriers through rescue organizations. She has worked with New Rattitude Rat Terrier Rescue & Adoptions. She also works with Rescue Ranch a local dog rescue organization. Teaching people and dogs has connected her with an amazing organization, Mister Migs, where she is currently partnering as a mentor. Mister Migs makes Dog Gear for Good providing real-life work and community experience to marginalized youth. Paula is a Certified Professional Dog Trainer (CPDT-KA), AKC Star Puppy and Canine Good Citizen Evaluator, Connection, Cooperation & Control – Level 1 Instructor and Certified Trick Dog Instructor through Kyra Sundance’s program. �She is also a member of the Association of Professional Dog Trainers. While educating others is her passion she also takes every opportunity to learn from some of the best educators by attending seminars, conferences and reading their books. These include: Suzanne Clothier (currently working on C.A.R.A.T. 1.2), Clicker Expo speakers, S.A.N.E. 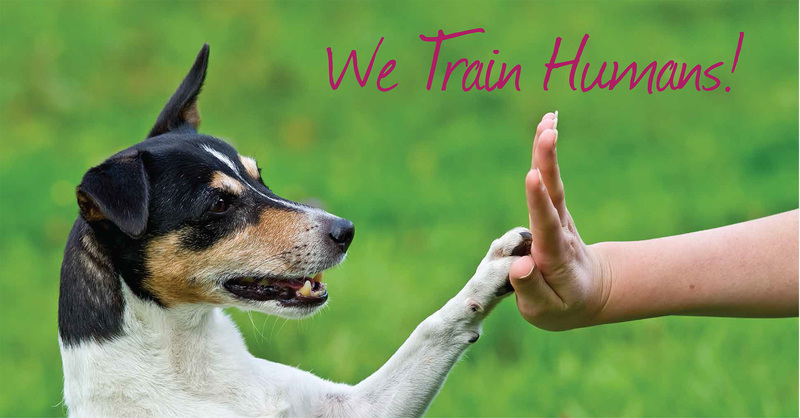 Solutions for Challenging Dog Behavior with Kathy Cascade, International TTouch Instructor and more. In 2017, sheattended the Association of Professional Dog Trainers conference in Richmond, VA.
Paula is excited to be a part of Suzanne Clothier and Cindy Knowlton’s newest relationship centered program Connection, Cooperation & Control. She is one of the inaugural pioneer trainers bringing this program to the Southeast. It is absolutely amazing! Hannah began her passion for dogs through teaching her childhood dogs basic obedience. Throughout high school she volunteered to socialize and exercise dogs in the county animal shelter, and enjoyed sharing their personalities with adopters. Hannah moved to the Atlanta area in 2016 and took the opportunity to explore dog sports and training. 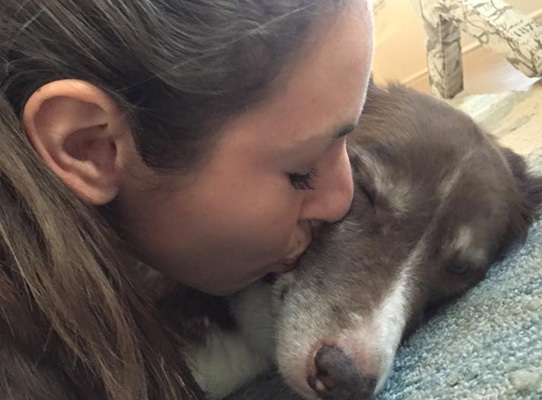 After enrolling her dog, Linus, in Scentwork and witnessing his confidence grow, Hannah knew she wanted to commit as much of her life as possible to helping other owners and dogs. 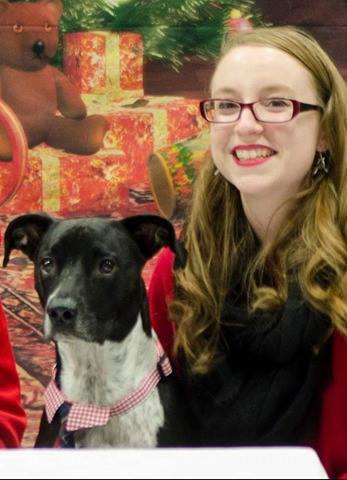 In 2016 Hannah completed the CCA apprenticeship program under the direction of Cathy Bruce where she gained knowledge and practical experience in dog training and behavior. Hannah has a passion for fun competition and looks forward to learning more from every dog and owner and loves currently teaching Puppy and Scent Work classes at CCA! Hannah, her husband Jeff and Linus live under the care of two cats Bagel and Artemis. Ali Weihl has always had a passion for animals. Starting in high school, she was intent on training marine mammals, so she spent one summer volunteering atthe Georgia Aquarium, got her scuba certification, and spent another summer as an intern at the Pittsburgh Aquarium. While at the Pittsburgh Aquarium, she assisted the head penguin-keeper. Then, two years ago, as she worked with a dog and horse trainer in Western Pennsylvania, her passion turned from marine mammals to dogs because of the ability to be more hands-on and utilize more positive reinforcement techniques. After graduating from Saint Vincent College (Latrobe, PA) with a degree in Biology, she moved to Georgia in June of 2013. She started out working in daycare at CCA as well as auditing classes such as Puppy, Scent Work, Reactive, and Rally. Since then, she has advanced to teaching Puppy, Adolescent Pup, Scent Work, Reactive Modules and many other classes. Ali also offers private consults to work in-home or at our facility one-on-one. In order to gain more knowledge and a better understanding of clicker training, she completed a course through the Karen Pryor Academy. She continues her ongoing education by attending seminars on dog behavior and scent work. Ali also works part time with our friends at North Georgia Veterinary Specialists – Rehab Department. 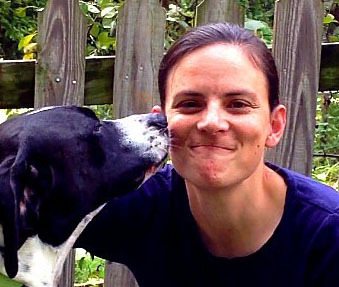 Jena Gammon started her passion for dogs as an adult. 11 years ago she got her scoundrel of a dog, Boozer, a Rat Terrier/Boston Terrier mix and her heart stealing dog Geigh, a Rat Terrier. Because of them she got involved in Rat Terrier rescue. As she does all things, she jumped in full steam ahead. She has a sponge like brain for learning about dogs and their behavior, always wanting to learn more. She has taken classes with Kathy Cascade at CCA. Jena also has a senior Rat Terrier, Patches. She has joined CCA in an administrative role with the hopes of becoming much more involved. 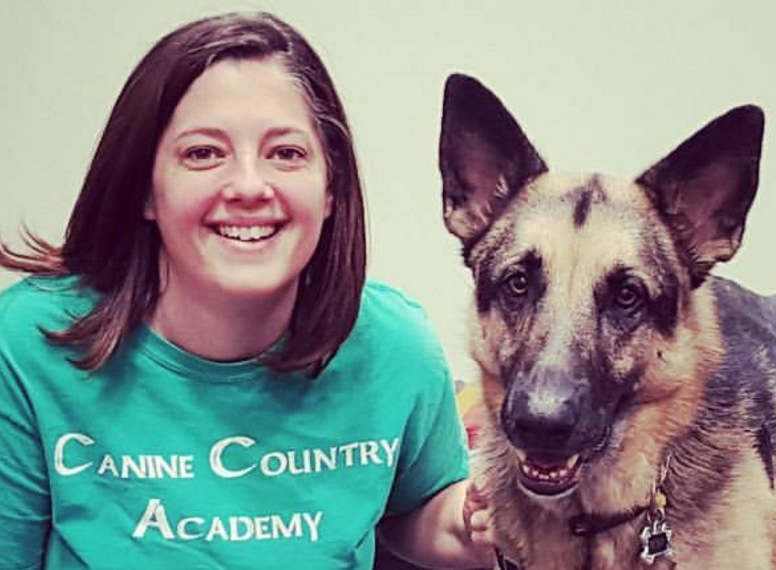 Rachel Emery has been passionate about dogs and dog behavior for many years and jumped at the opportunity to work full time with the dogs of Canine Country Academy as the daycare and boarding manager starting in the summer of 2012. After the closing of our daycare and boarding services she transitioned to auditing and assisting in a variety of classes at CCA. Currently, she primarily teaches Puppy, Adolescent Pup, Impulse Control, Scent Work Foundation and Advanced Scent Work. Over the last several years she has attended seminars by Suzanne Clothier, Nancy Reyes, Kathy Cascade and Nicole Wilde and is constantly seeking out opportunities to learn more about behavior. She has 2 big dogs of her own.Chance and Rocky and a one-eyed cat named KitKat (aka Trouble). She is also a volunteer in the rescue community with a soft spot for Pointer Rescue. A cost effective way to get you and your puppy and dog training. Classes are typically 6-weeks in length meeting for 1-hour each week. Click a destination below to learn more about the classes offered. Take Me Straight to Registration! We offer custom 60 to 90 minute coaching sessions in the comfort of your own home, at our training facility or out and about. This is great to get one-on-one coaching for specific skills, address behavioral issues and help you prepare for your new puppy. Need a professional to jump start your puppy’s training and socialization? We understand you have a busy life with work and family. Our team loves building the foundation to set you and your new addition up for success. These sessions can be done in the comfort of your own home or at our training facility. At Canine Country, we approach behavior problems holistically: looking at the whole dog – mind, body and emotion – to ascertain the root cause of behavior issues. We work with the dog and owner, together, from the inside out. Because we do not apply typical dog-training “band aids” to treat symptoms, we help you achieve longer and more lasting behavior changes. When necessary, we also work closely with your veterinary team to ensure that any behavior issues potentially caused by physical problems are brought to light, and that any physical problems can be remedied by a veterinarian expert. If fact, we are proud to have many great cross consulting relationships with veterinary clinics in the area. The use of punishment or aversive techniques can be a recipe for disaster for a dog suffering from reactivity, aggression or fear. Beware of “dog experts” who would try to convince you that your dog suffering from behavior problems is trying to dominate you. In many cases, dogs with these types of problems are dealing with fear issues that have been completely misunderstood or overlooked. Our role as your behavior consultant is to help you better understand what your dog is communicating, and to fix the root cause of that fear. 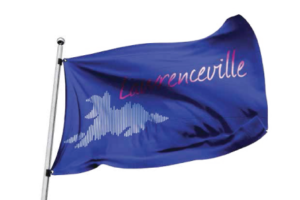 If so, please call us directly at (678) 979–2016 or email info@caninecountryacademy.com to discuss. We are happy to customize and quote a tailored, consultative solution for your dog’s particular behavior issues. Generally lasting about 90-minues, our in-home or on-site behavior consultations will HELP YOU get your beloved canine back on the right track to a happy and more balanced life! We are allowing one handler per odor, but another handler can work your second dog (if needed). It is $35 per odor. You and your dog MUST be registered with NACSW and have current membership to enter. Does your dog enjoy going to the vet? Is your dog a puppy? Is your dog stressed at the vet even for “happy visits”? Do you take your dog into the vet less and less due to the anxiety it brings? If you answered “yes” to any of the above questions we have a great event for you! VCA Falcon Village Animal Hospital has partnered with CCA to provide support for helping dogs, dog owners, techs, and veterinarians have happier vet appointments. Join us Saturday, April 13th at 3pm at VCA Falcon Village for a FREE workshop. A few dogs will be selected as demo dogs. Join us for three days of conformation education with Vicki from Show Dog Prep School. She has a wealth of knowledge in teaching, showing dogs and dog behavior. If you want to teach conformation, get coaching or just learn more….please join us! For almost two years I have had the privilege of training at CCA. My dog Harper is unique in many ways. From the age of 12 weeks she has worked her way through the requirements to become a trained service animal. Harper isn’t your traditional service dog. She weighs in at 13 pounds, has never met a task she couldn’t master and is full of attitude. CCA has guided us through many challenges that are specific to our daily work, as well as the many “normal” issues that coming with having a dog in your life. The trainers have managed to challenge us in creative ways through agility, rally, tricks classes and more. Their care and concern toward us is evident in the planning they put into every class. I am grateful to have found these wonderful trainers and I frequently recommend Canine Country Academy to everyone who compliments Harper. We found Canine Country Academy we read every book and watched every video we could find about training. Overwhelmed and frustrated by so much conflicting information, we bought into training methods that only made things worse. We care about our dogs like family members and we were so lost. After a very bad experience with another trainer, a trusted friend referred us to Canine Country Academy. Our trainers have been absolutely amazing and incredibly caring. Their knowledge and experience has taught us so much and helped all of us and our dogs have better lives. We would have been lost without them. Thank you all!!! We love Canine Country Academy. When Cait was only nine weeks old we started puppy classes just to learn basic manners and socialization skills. She is now four years old with titles in Nosework and Rally Obedience, Advanced Trick Dog, and serves as a therapy dog (TDI) to schools, retirement centers, and hospitals. The best part is that all her training has been positive and fun. We have had a great time at CCA!!! I can’t say “Thank you” enough to CCA. From my very first interaction with them I could tell that they put the needs of the dogs, first. They were looking out for me and my dog instead of just trying to make money. I have a fearful, 2 year old Chihuahua named Aurora, and our trainer has helped us both tremendously. We have had private lessons and Shy Dog class. We have a long way to go, but we have come so far! Our trainer has given me an abundant amount of resources and techniques and tools so that I can continue our work at home between classes. Aurora and I have become closer throughout these classes because I’ve learned how to anticipate her needs and I’ve learned how to help her deal with her high anxiety triggers. I can’t wait for the next class for Aurora and I can’t wait to see what’s in store for her and how far she will go!! !